Poem Published Online at The Cortland Review | MARK JAY BREWIN, JR. 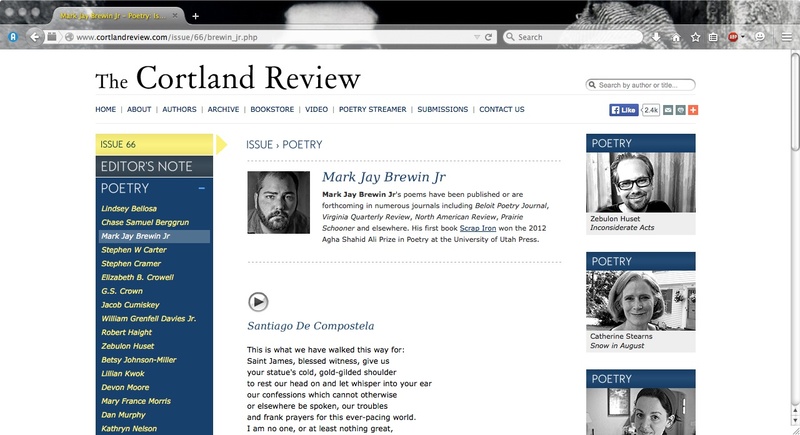 I am pleased to announce that my poem “Santiago de Compostela” was published online today in the latest issue of The Cortland Review. Click, read, and yearn for Spain.